Manage all sales pipeline stages from a single screen! The one big favor that you could do to your business is to stop using spreadsheets to track your sales pipeline stages. Try using a small business CRM for a change and centralize all your sales pipeline management needs. 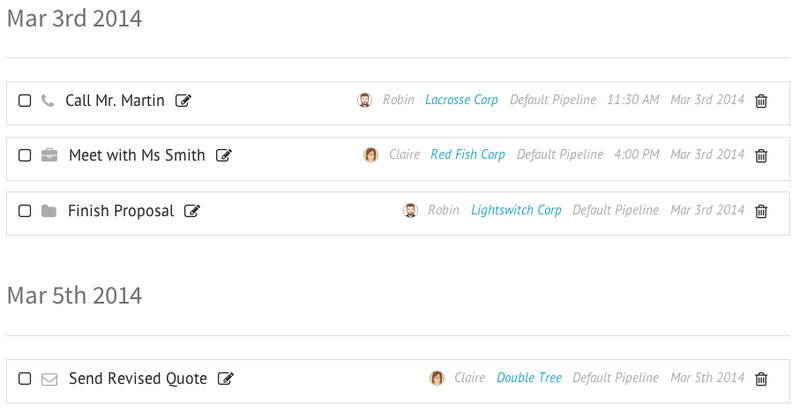 Our customers love how easy it is to see all the stages of a sales pipeline at a glance. 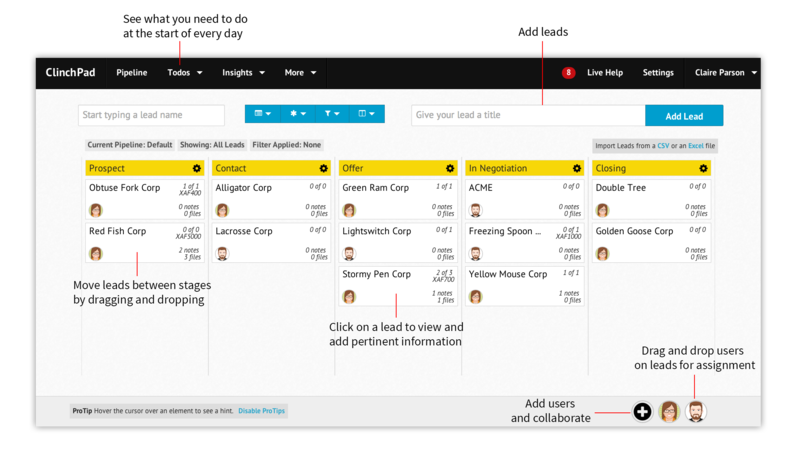 In the sales pipeline view, leads are represented by cards and stages by columns. This view, inspired by Kanban boards, allows you to see all the leads in the sales funnel and the stages they are in the sales cycle. Powerful filters and multiple sales pipelines make ClinchPad one of the best crm systems around.Create multiple pipelines so that you can track different aspects of your sales process. 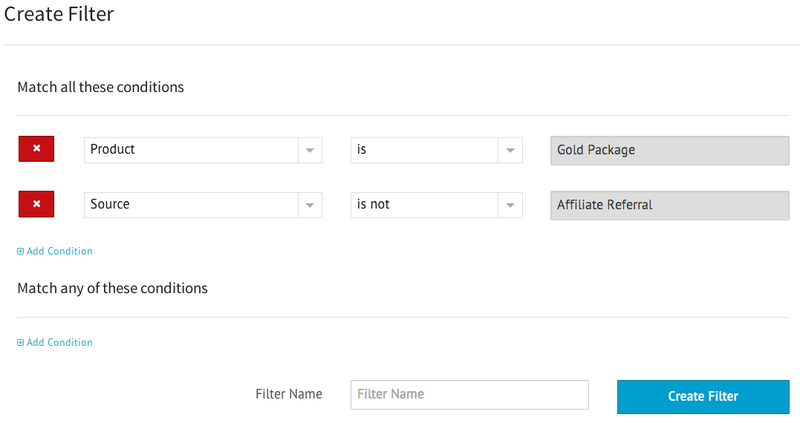 Easily filter leads in a sales pipeline by users, products, sources, zones, contacts or any combination of the above. In addition to staying on top of all the stages of the sales pipeline from one centralized screen, you can also command your sales operations without much effort. A number of actions such as adding and renaming leads, assigning a user to a lead or moving the lead to another stage can be accomplished from the sales pipeline view itself.